How did I know? I don’t know about you, dear reader, but IKEA had sneaked into my Instagam account with its videos recently, so, yes, I knew what it was about. Have you seen this video lately? There was few people inside and it did look like it was just kicking off. And doing my research back home, I confirm it actually did. So what is IKEA Dining Club, really? It is a pop up DIY restaurant opened in Shoreditch High Street from Saturday 10th to Sunday 25th September where you and your friends enjoy a meal cooked by yourselves with the supervision of one of IKEA chefs. 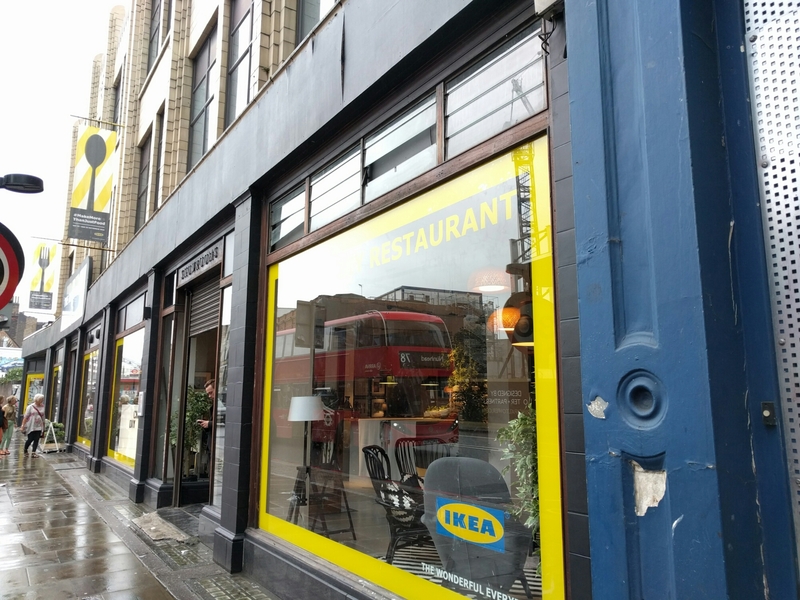 There’s also an IKEA cafe and shop with their typical Swedish delicacies and up to 38 different workshops running every day, different times. Having a look at them on their website, there were many that got my attention. One being Love Food, Hate Waste (big fan of the topic) but they are all mainly sold out. You might be lucky still with the ones taking palce in early afternoon of week days, if you want to try. For more info, click on the link to find out more about the IKEA dinning club.